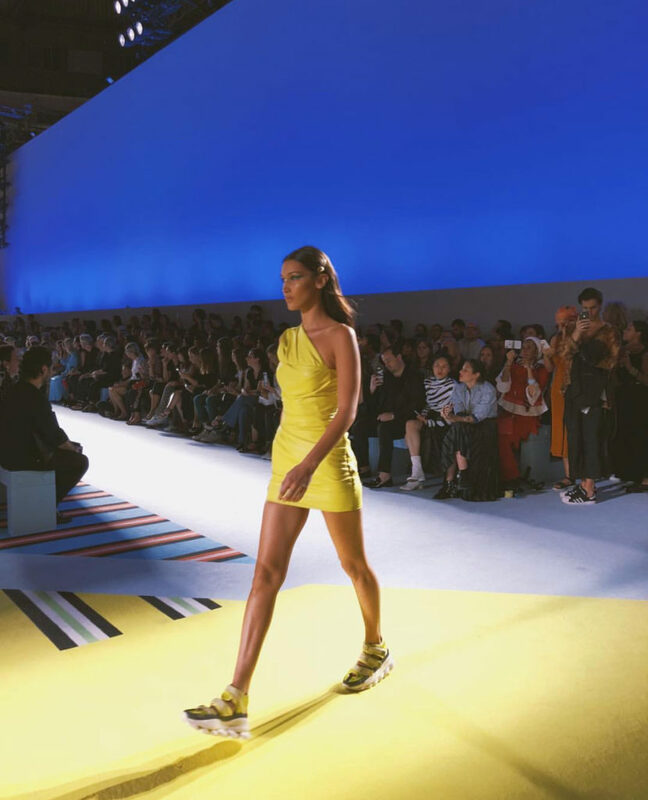 The Versace S/S 2019 show was my first mainstream show of the fashion month season in Europe. Considering the fact that they were the first high end luxury brands I partnered with back in 2017, i was really excited to finally be attending one of their fashion in Milano. 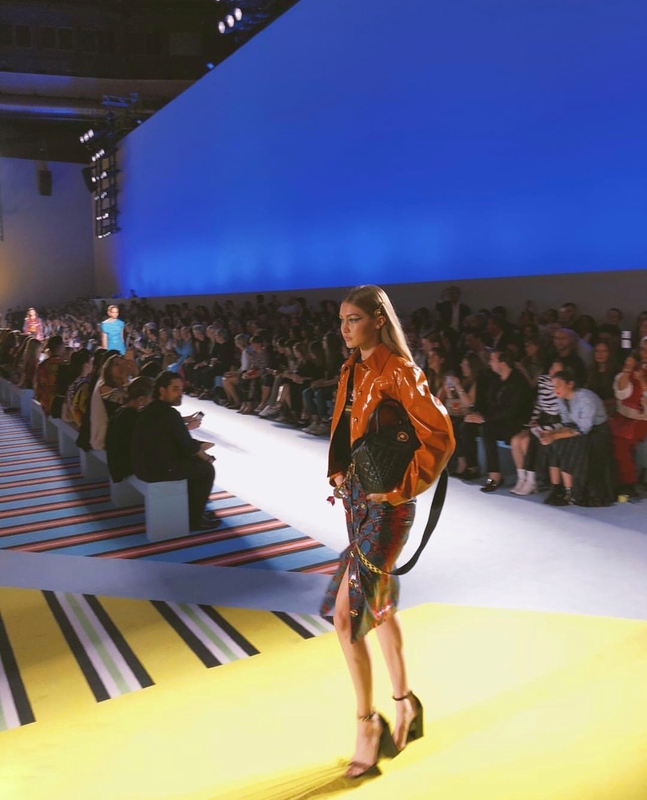 The show took place at Piazza Tre Torri venue and had celebrities like Nicki Minaj, Rita Ora, Ciara Ferragani and Fedez seated in the front row and had super models Gigi Hadid, Bella Hadid and Kia Gerber walk the show. 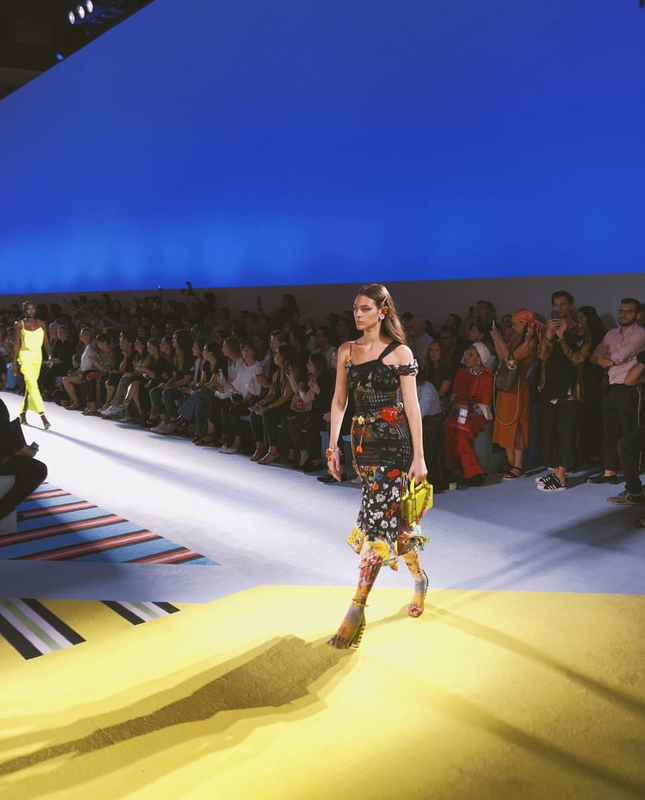 This spring collection featured a ton of leopard , stripes and plaid all mixed into a fabulous collage of bright colours, neons and gold jewellery. My favourite look was the neon green cocktail dress Bella Hadid wore with the matching sneakers. The show was incredible! Thank you so much Versace for having me! Until Next time Milano! CIAO!